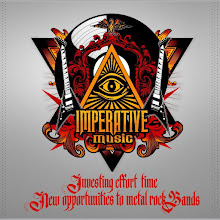 Imperative Music Agency Compilation: Top Quality Metal Gothic Rock Compilation – WORLDWIDE !!!! Top Quality Metal Gothic Rock Compilation – WORLDWIDE !!!! REMARKABLE PROJECT INCLUDING THE BEST PROFESSIONALS FROM METAL SCENE!!!!! TRACKING LIST *there is spots still available! HAMMERFALL [Sweden] Gods of Heavy Metal, NUCLEAR BLAST artist! CRADLE OF FILTH [England] The most famous Gothic Black Metal Band, NUCLEAR BLAST RECORDS artist! DEATH [U.S.] Death Metal Kings, artist of RELAPSE RECORDS! DECADENCE [Sweden] Thrash Metal with female vocals! New Album out now! NIGHTQUEEN [Belgium] Gothic Metal with female vocals, third time they are participating in Imperative Music Compilations! KARYTTAH [Brazil] Heavy Metal, exclusive song to Compilation. This is second time they are participating in Imperative Music Compilations! INNER CALL [Brazil] Power /Heavy Metal, exclusive song to Compilation. This is second time they are participating in Imperative Music Compilations! METASPHERICAL [Canada] Thrash Metal melodic and technical! WEST OF HELL [Canada] Powerful Heavy Metal from Vancouver! Awesome!!! MARCHING OUT [Japan] Progressive Power Heavy Metal including Doogie White (RAINBOW) and members of LOUDNESS/Japan! RISINGFALL [Japan] Power Metal! They participated on Imperative Music Comp ‘volume 14’ but Volume 15 will present their New song!!! FENRIR’S SCAR [Brazil] Gothic Metal with female/male vocals, impressive musicality close to LACUNA COIL, AFTER FOREVER, MOONSPELL, WITHIN TEMPTATION, HIM and TRISTANIA. HANGING DEATH [USA] Thrash Metal from Los Angeles/CA remembering early METALLICA/MEGADETH! SAINTS OF DEATH [Canada] Death Groove Metal from Vancouver! Awesome! DIXIE HEAVEN [Brazil] Brazilian Thunder Metal with female vocals! Potential! HELLZEIMER [France] French Thrash Metal very powerful! BLACK DAFFODILS [Germany] Female Fronted Metal Rock! In Tour with LUCA TURILLI'S RHAPSODY, FREEDOM CALL and XANDRIA. THE REST OF US IS DEAD [Germany] Aggressive Metal/Rock similar to Down | AC DC | The Rolling Stones | Black Label Society. THE UNDEAD MANZ [Brazil] Weird Dark Metal very original! AMETHYST [Costa Rica] Wonderful Gothic Metal with female vocals, nice surprise! ENZO DONNARUMMA [Italy] Neo-Classical Rock Metal Symphonic Progressive featuring famous musicians: Marty Friedman, Kobi Farhi, Ralf Scheepers, Mark Zonder, Gary Wehrkamp, Brian Ashland, Nicholas Leptos, Amulyn, David Brown, Tina Gagliotta, Derek Corzine, Alessandro Battini! DISTRIBUTION: Europe, United States, Brazil and Japan. Most Important Companies, Record Labels, Media confirms the importance and interest to check out IMPERATIVE MUSIC COMPILATIONS - Don't lose this opportunity. 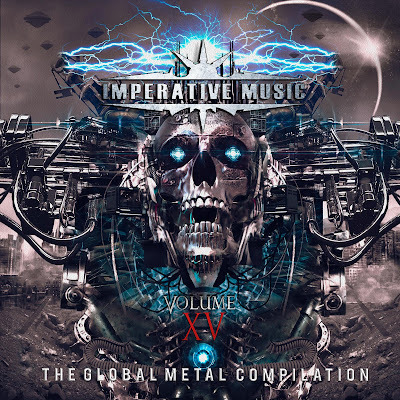 IMPERATIVE MUSIC COMPILATION VOLUME XV will mark a point in the Metal Scene for feature Awesome Metal Bands to date.